Valve seals for AD3. 152 Perkins Diesel. With engine serial number less than 2820092. Replaces 1447019M1, 33817125, 33817402, 3637041M1, 733820M1, 736840M1, 740009M1. Price shown is for each, sold only in multiples of 6 items. New, aftermarket Valve Seals for sale with a solid manufacturer warranty. 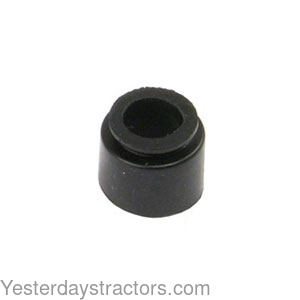 In addition, we have a generous 30-day return policy if these Massey Ferguson Valve Seals for Massey Ferguson 100, 1014, 1100, 1105, 1114, 1130, 1130, 1134, 1135, 1200, 1250, 165, 168, 174, 175, 178, 184, 185, 188, 194, 194-4, 255, 2620, 2640, 2645, 2675, 2680, 2685, 2720, 2725, 274, 274S, 274SK, 275, 284-4S, 285, 290, 294-4S, 294S, 3050, 3060, 3065, 3070, 3080, 3090, 3095, 30D, 3115, 3125, 3370, 3530, 3610, 362 tractors needs to be returned for any reason. Please see our Parts Warranty and Return Policy links on your left for complete details before returning.